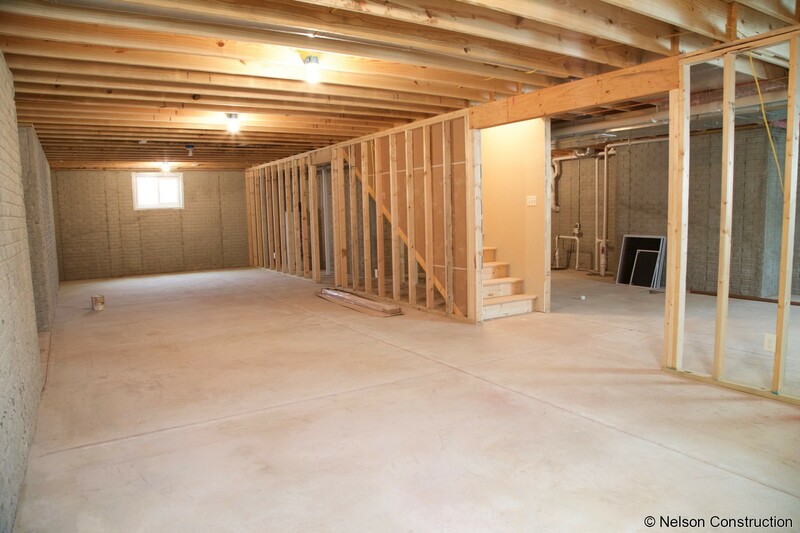 The unfinished basement of this Birchwood home is full of potential living space or storage and is plumbed for a future bathroom. 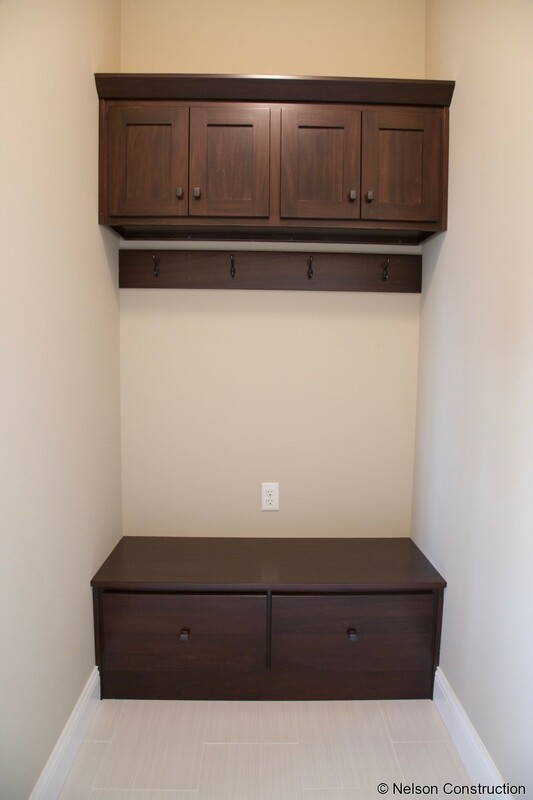 As soon as you enter the Birchwood from the garage there is a convenient drop zone to organize coats, shoes, and hats. 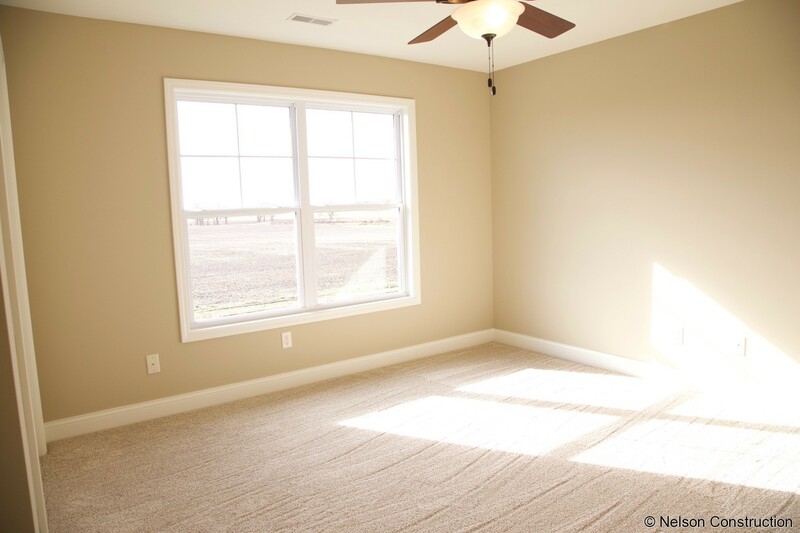 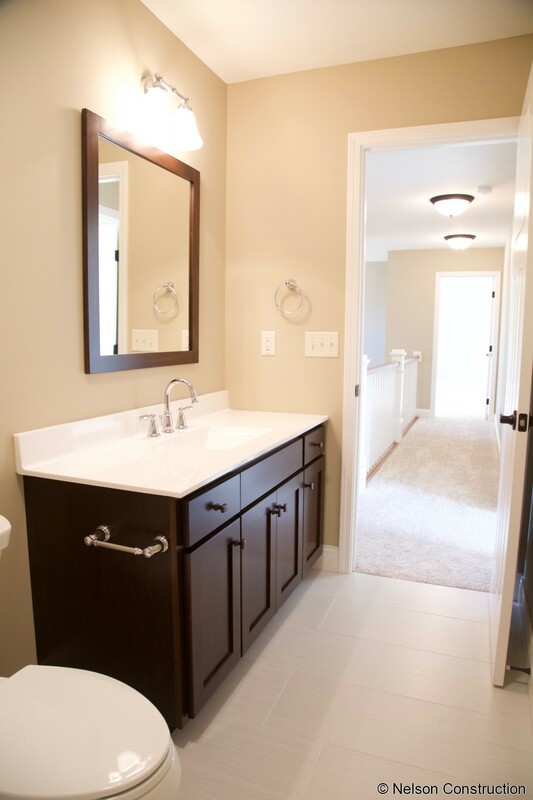 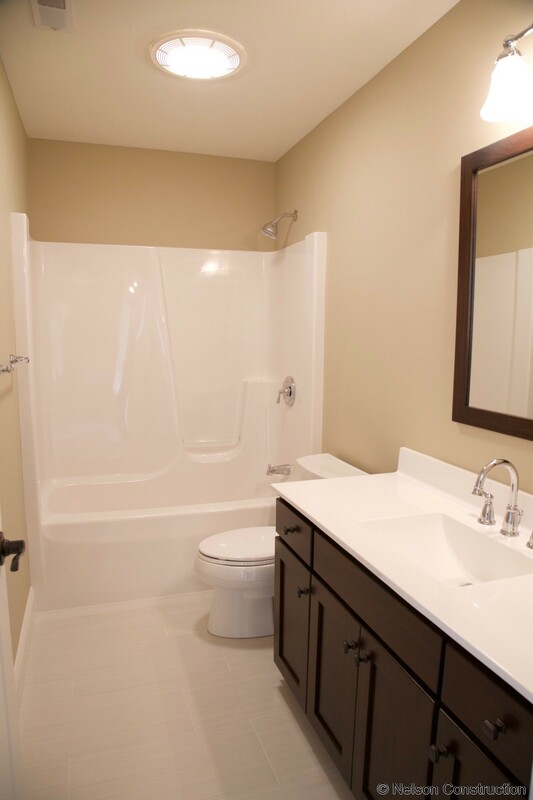 A half-bath is conveniently located off the kitchen, near the entrance from the garage. 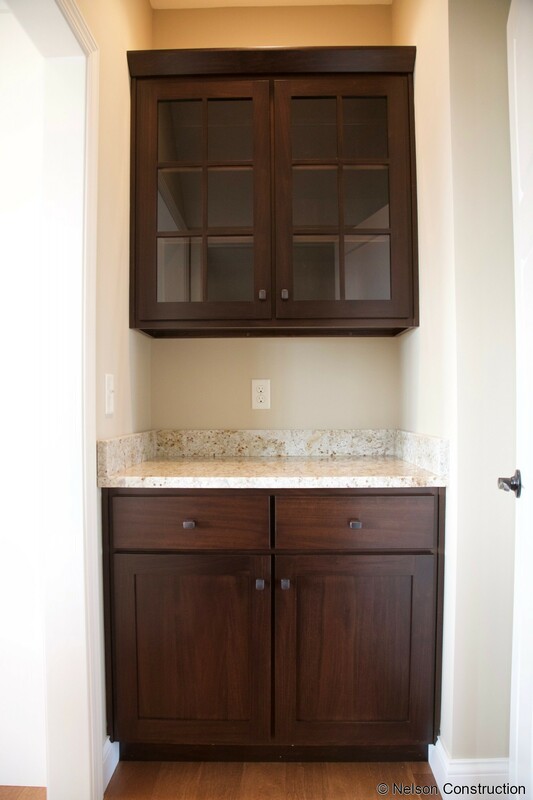 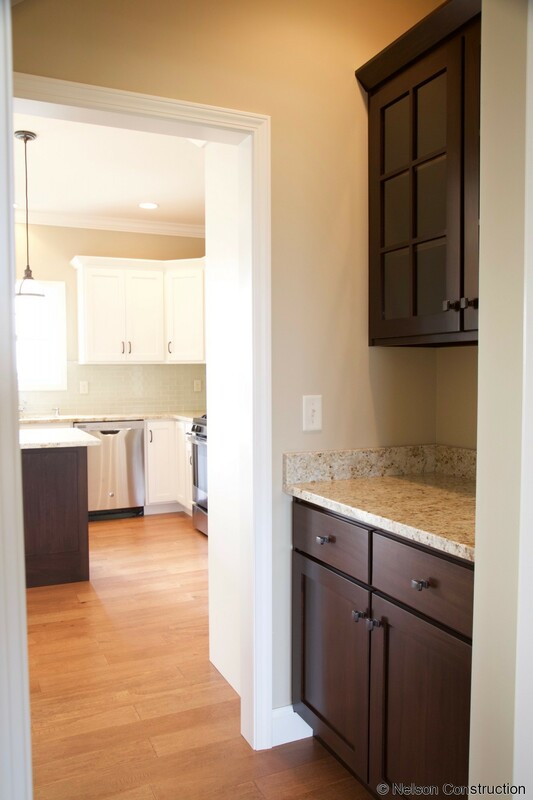 The butlers pantry is perfectly placed between the kitchen and dining room with granite counters and glass cabinets. 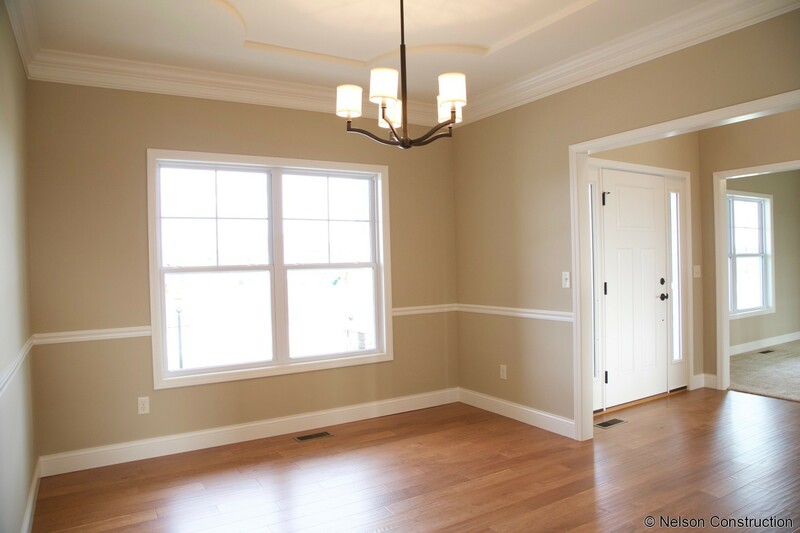 The dining room ceiling features both two-stage crown moulding and an intricate tray design. 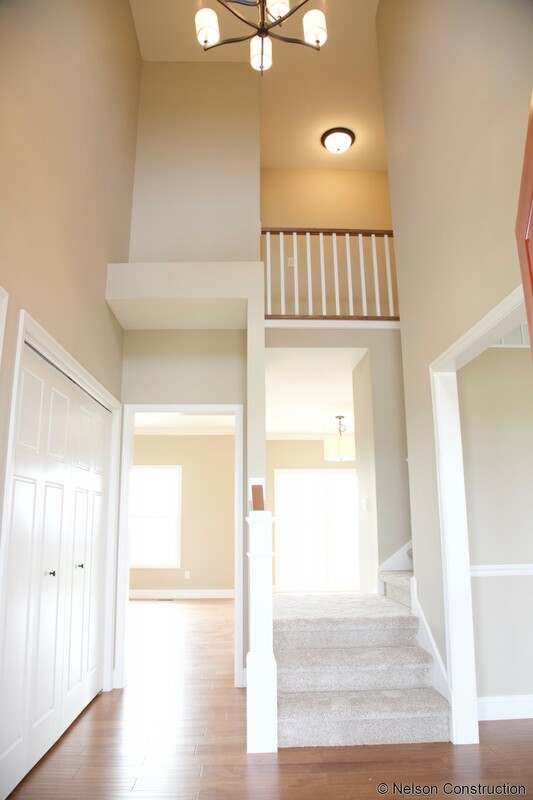 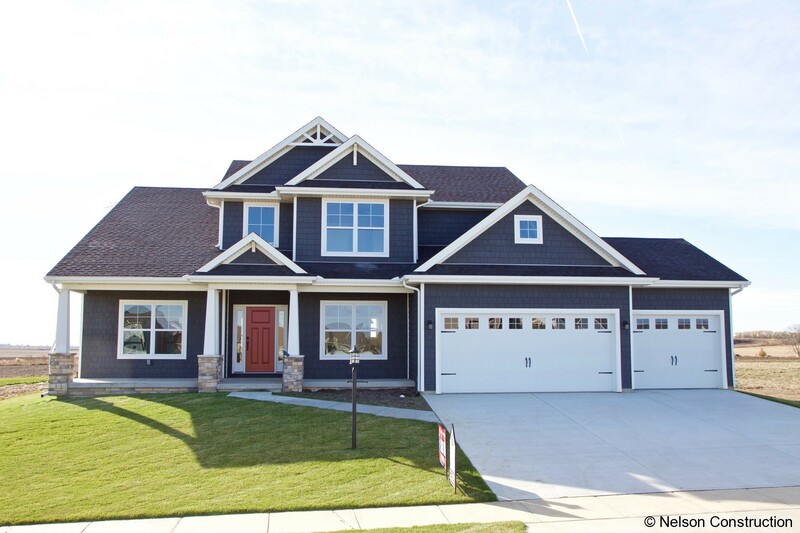 The grand two-story foyer welcomes you into the Birchwood plan with its focal stairway and abundant natural light. 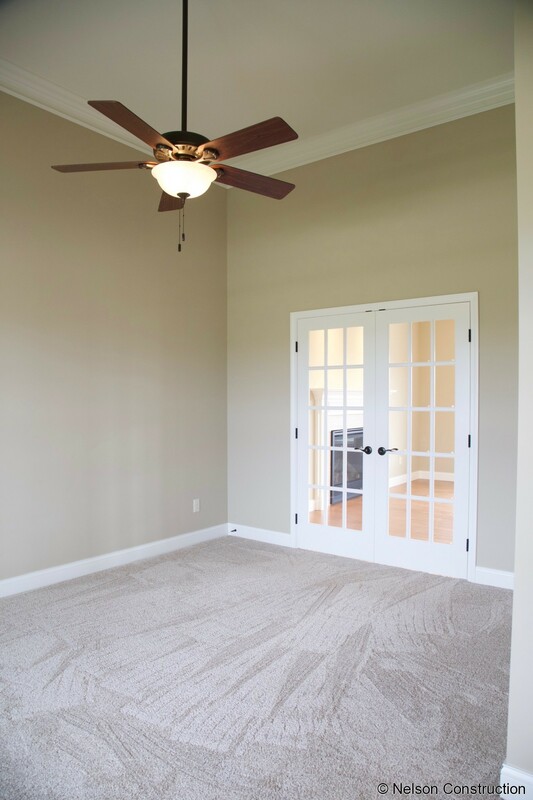 The flex/living room is highlighted with 11 foot ceilings and two-stage crown moulding, along with french doors opening into the family room. 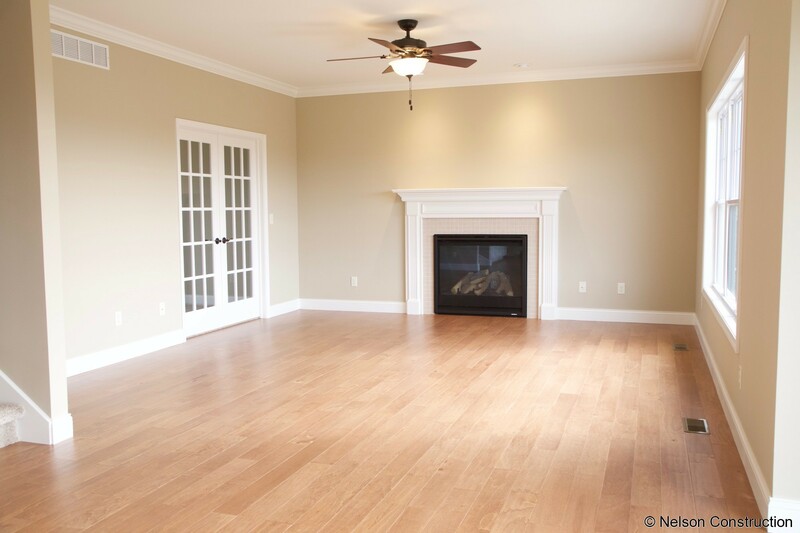 The fireplace is the focal point of the spacious family room with its accent tile surround and painted mantle. 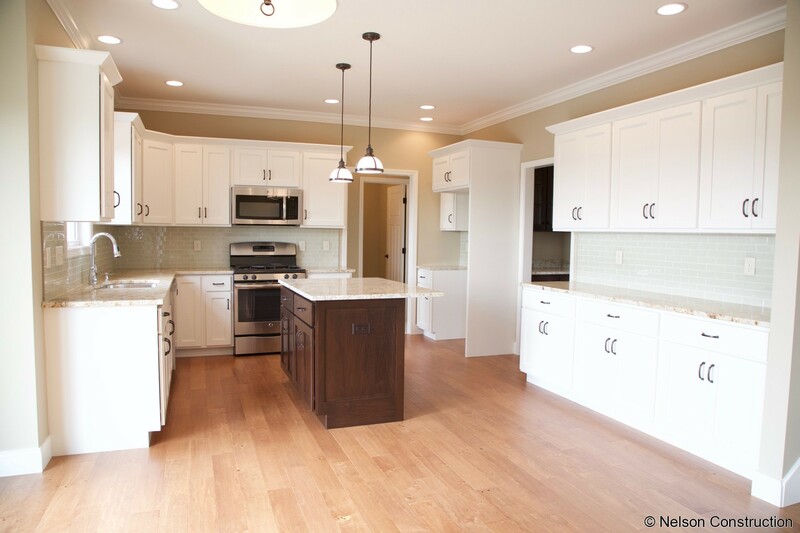 The spacious kitchen is surrounded with a permitter of painted cabinets overlooking the great room and dinette. 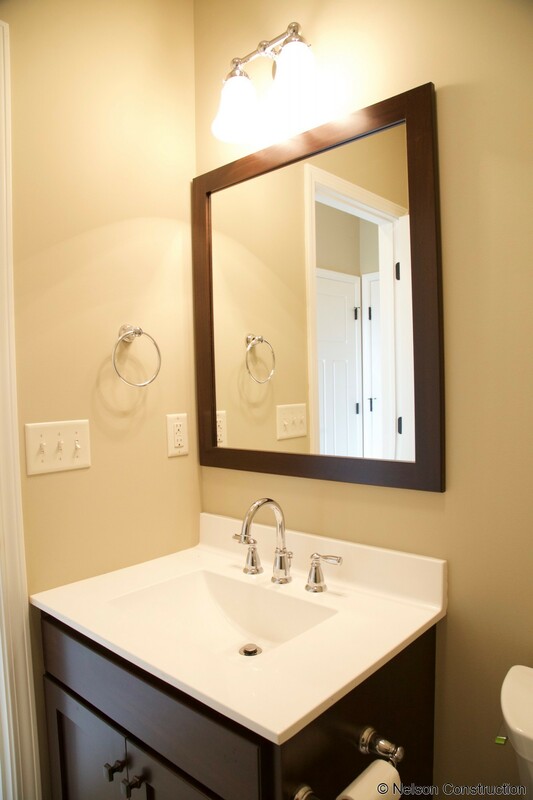 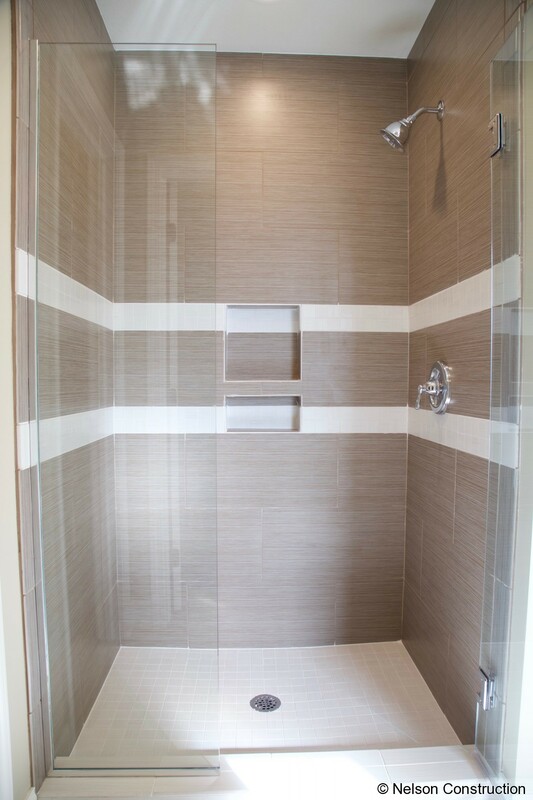 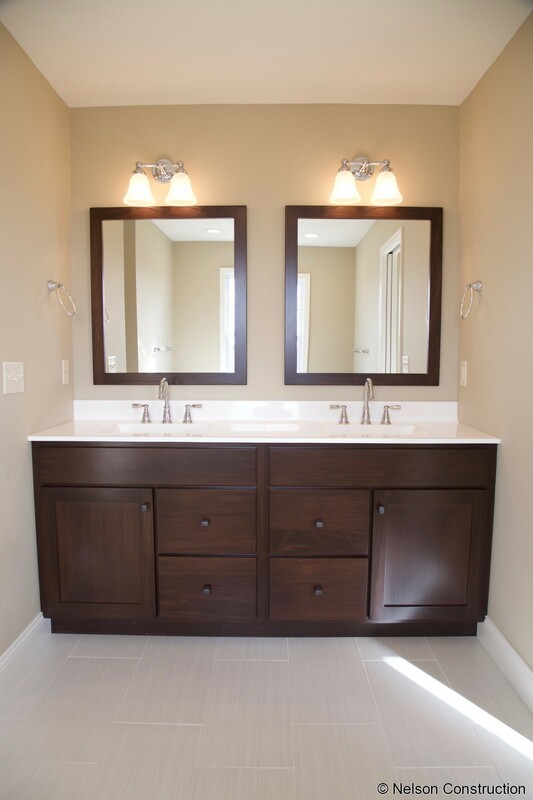 The guest bathroom upstairs is finished to the same level as the master, including framed mirrors. 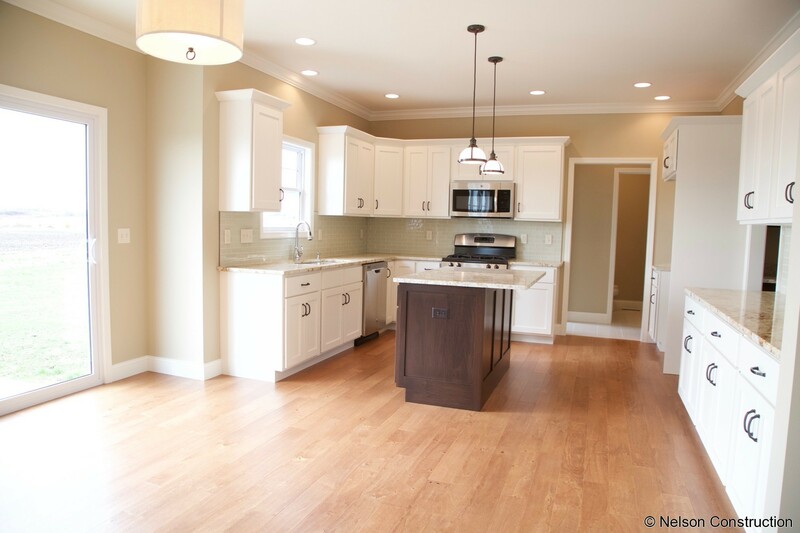 All of the four bedrooms in this Birchwood home feature abundant natural light. 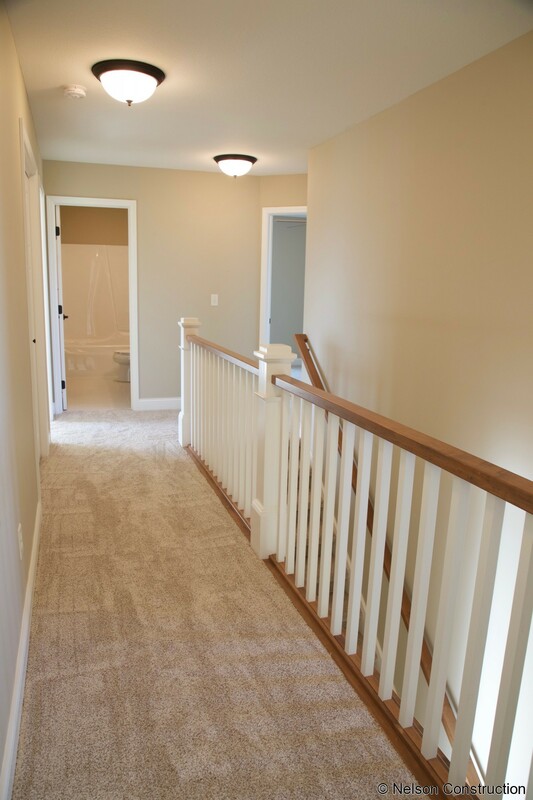 The upstairs hallway overlooks the foyer below with a focal stair system. 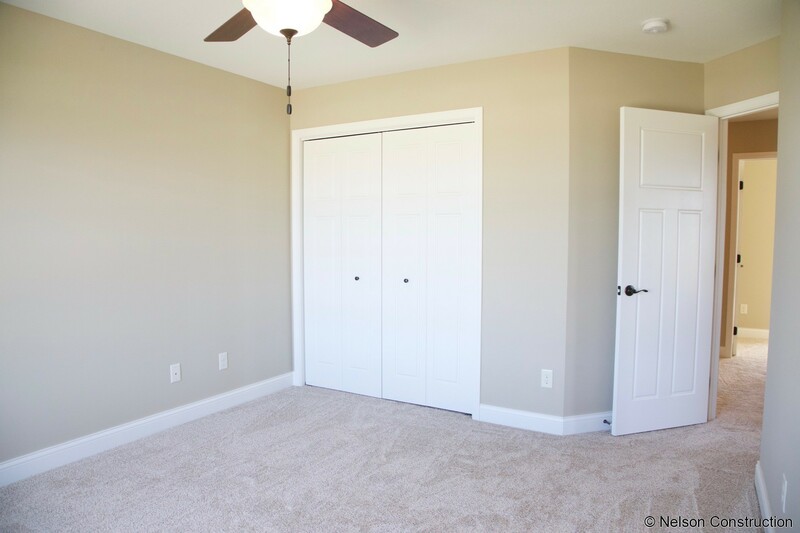 The master bedroom is accented with a tray ceiling in this Birchwood home. 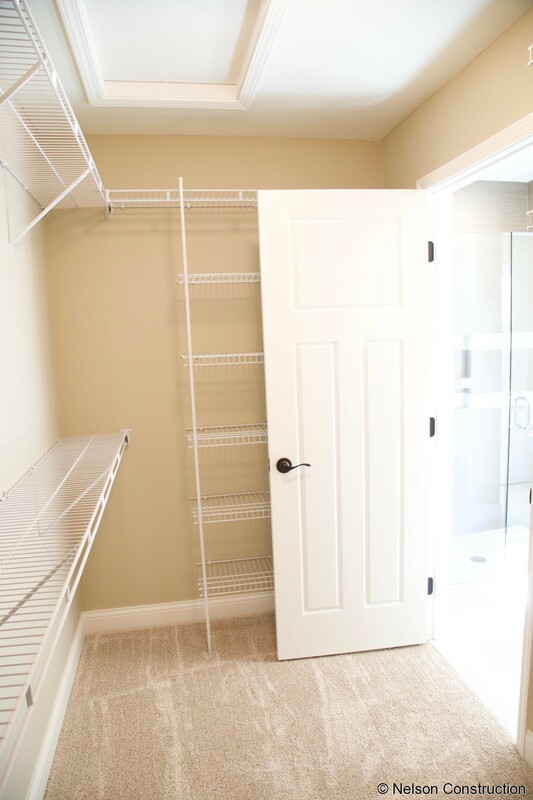 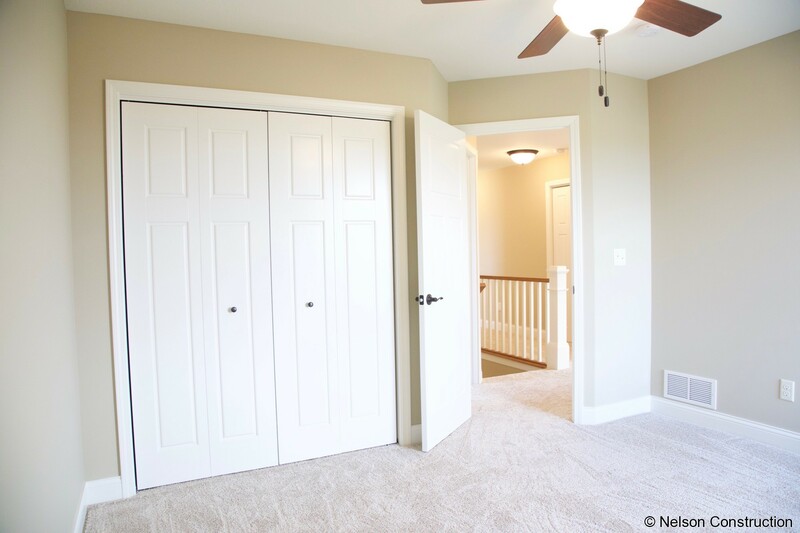 The master closet has plenty of storage for all your clothes. 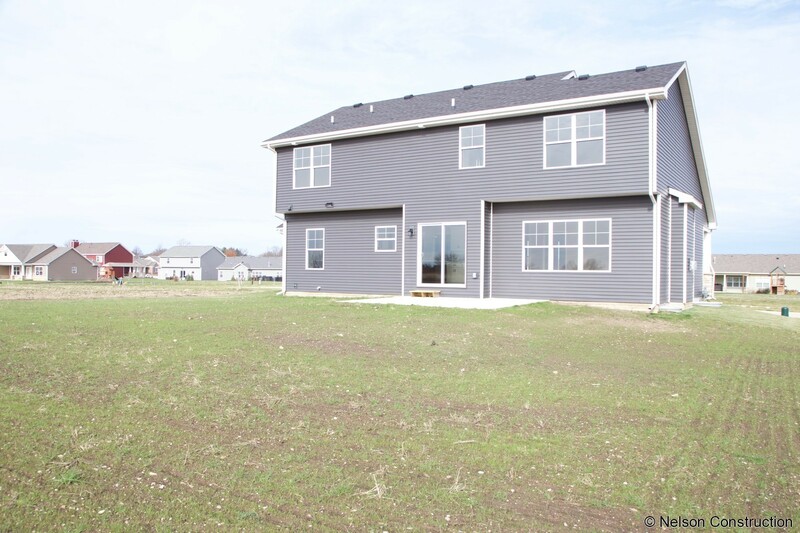 The rear yard has lots of room to landscape and play and has been seeded for a lush spring yard. 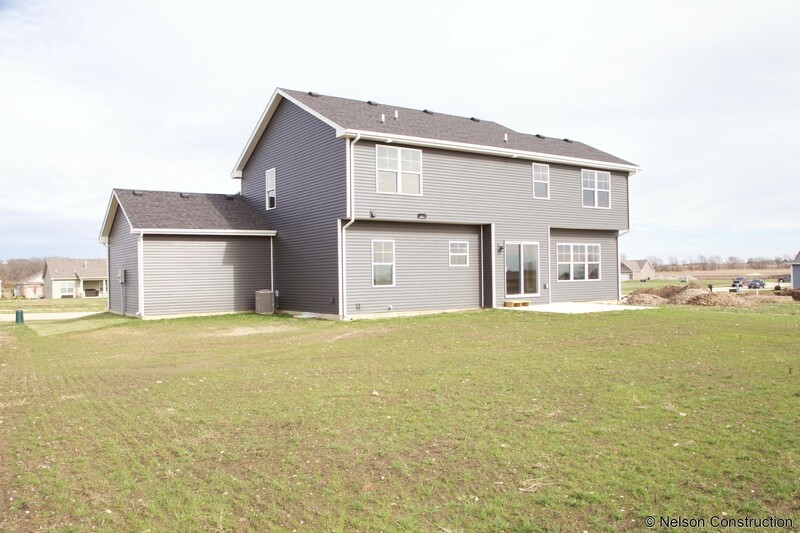 Construction is complete on your new home! 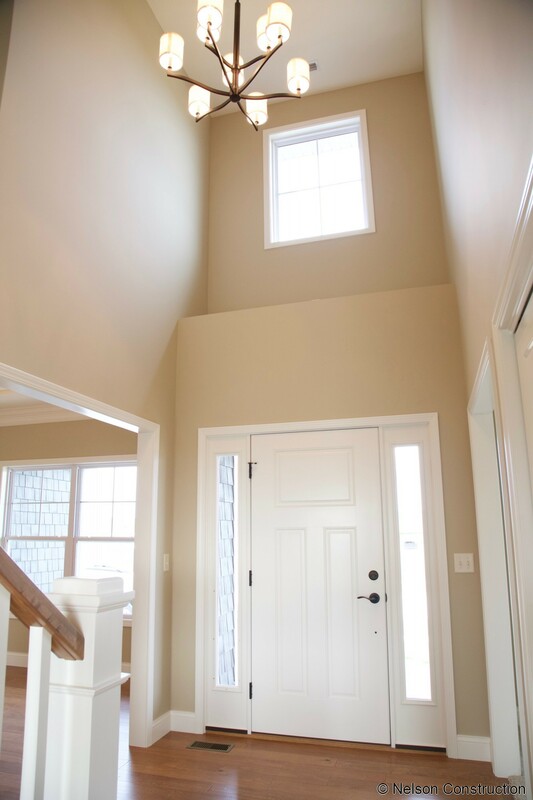 Upon entering the Birchwood you are greeted by the two story foyer with its plant shelves and T-shaped stairway which conveniently leads upstairs from the kitchen and foyer. 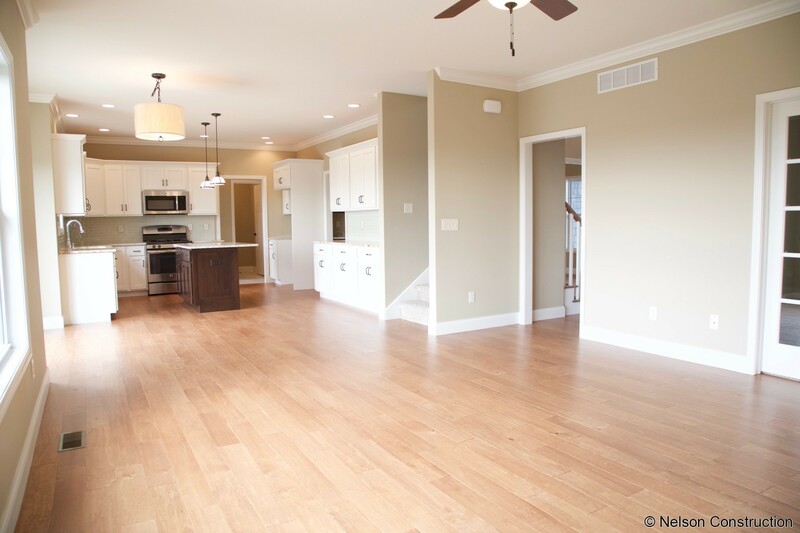 The formal living room and dining room flank the foyer. 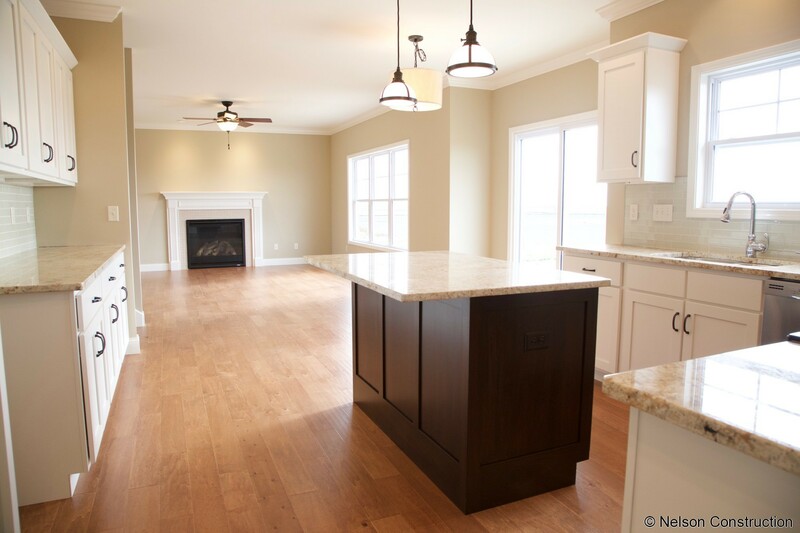 The chef's kitchen is highlighted by the large center island and dinette bay which is open to the cheery family room. 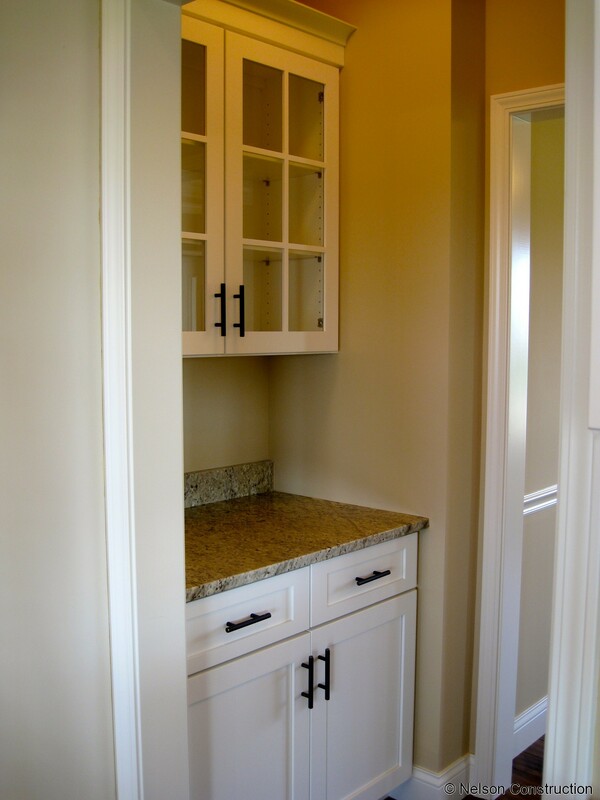 The mudroom with cubbies and the laundry are located just off the kitchen near the garage. 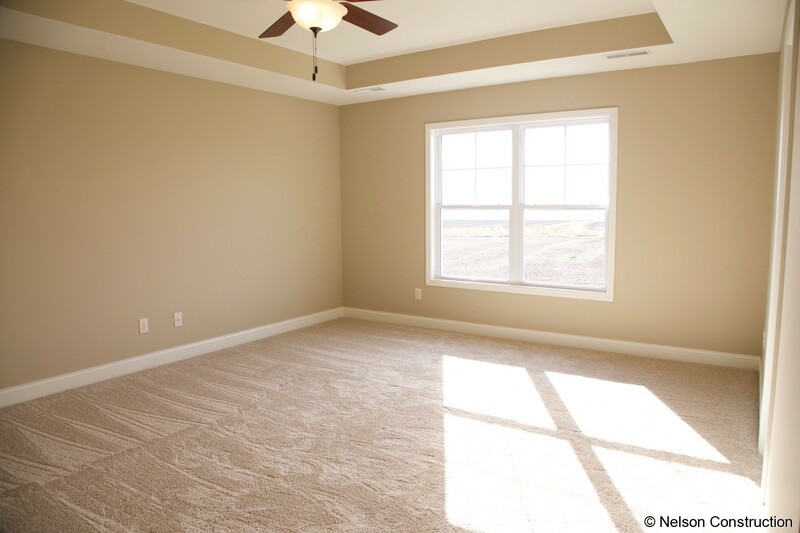 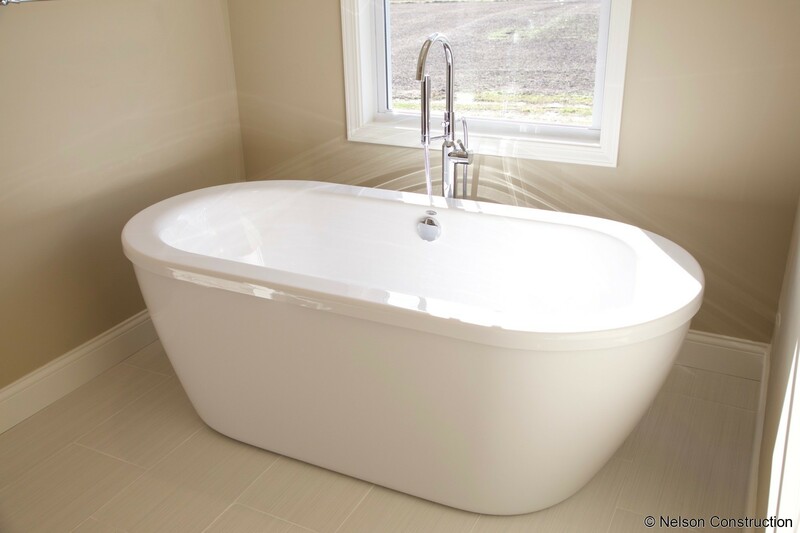 Upstairs features four large bedrooms and a master bath that will be your personal retreat. 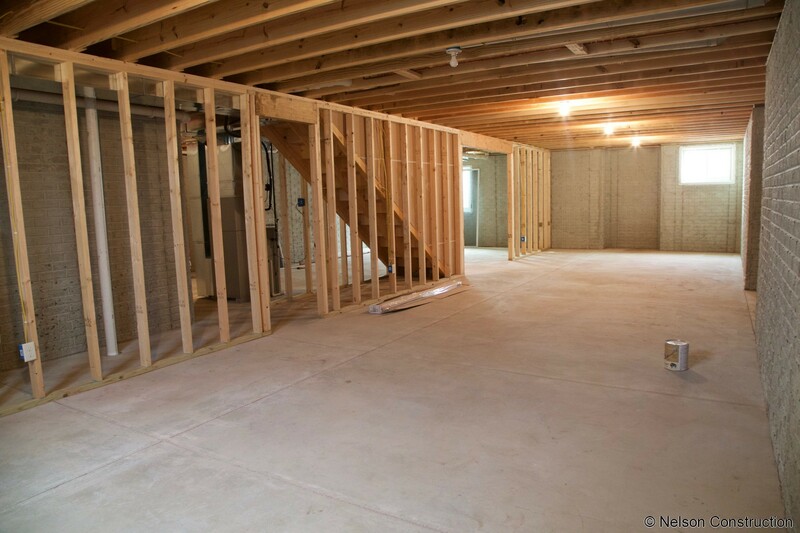 The home is complete with a full unfinished basement and a three car garage.